For more information on all upcoming seminar see our listing page. For more information all of our upcoming seminars, see our listings page. 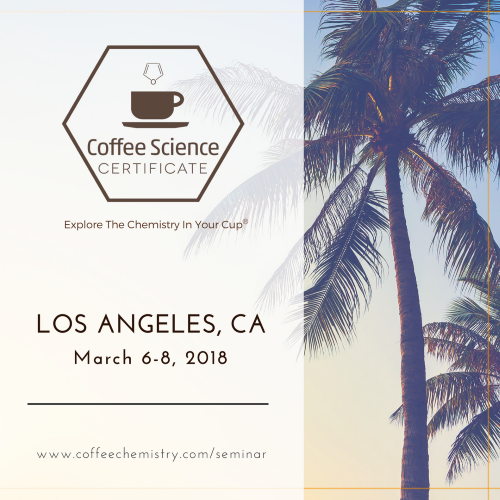 We invite you to attend our once a year Coffee Science Certificate (CSC-1) seminar in Los Angeles, CA on February 26-28th. This 2.5 day course is aimed at coffee professionals looking to expand their technical knowledge of coffee. This will be our only west coast session, for more information please visit our upcoming seminars page. 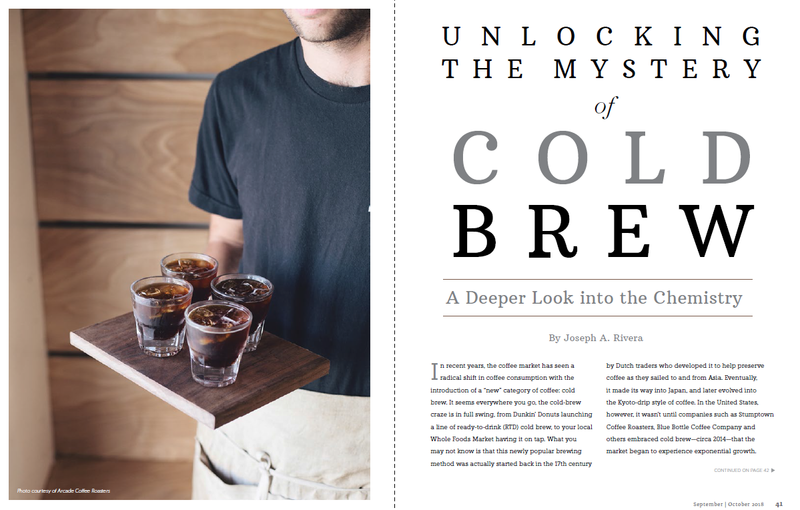 We're honored to of had some of our research on cold brew chemistry published in this month's issue of Roast Magazine. The research which was independently conducted by our coffee scientist, Joseph Rivera, utilized high performance liquid chromatography (HPLC) to analyze differences between hot vs cold brewed coffee. Check out the article, it will sure surprise you. 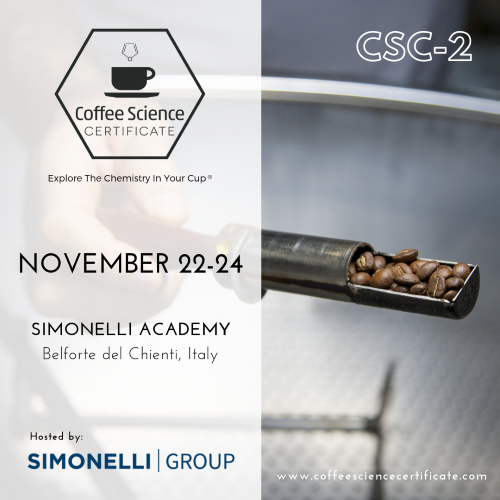 Coffee Science Certificate (CSC-2) coming to Italy this November. We're pleased to announce that CSC-2 will be launched for the first time in Italy. The course will be hosted by our education partner Nuova Simonelli at the Simonelli Group Factor. For more information on this session click here. 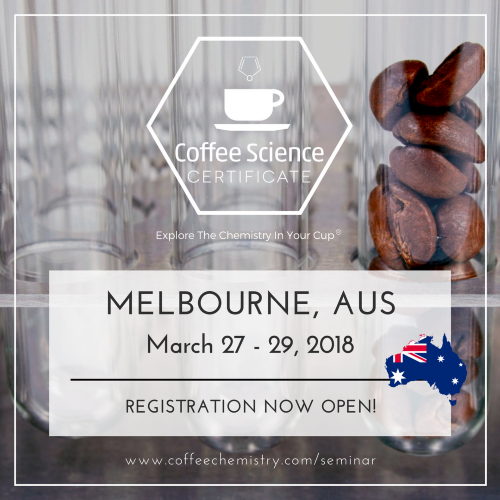 Coffee Science Certificate (CSC-1) seminar coming to Melbourne, Australia. We are happy to announce that we will be conducting our Coffee Science Certificate (CSC-1) course in Melbourne, Australia. If you are interested in attending, please register soon. Seats for this event are limited. Coffee Science Certificate coming to Los Angeles. 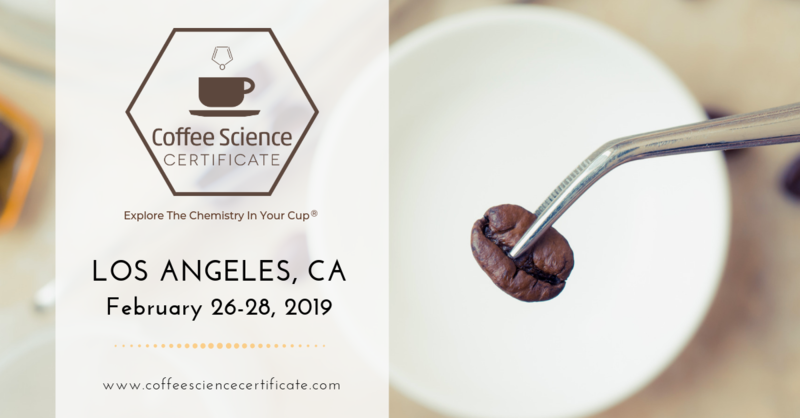 We're kicking off the new year by conducting another Coffee Science Certificate (CSC-1) course right in our home base of Los Angeles, CA. Due to our busy international schedule this will likely be our only USA based session. Don't miss this chance to expand your technical coffee knowledge! For more information visit our seminars page. 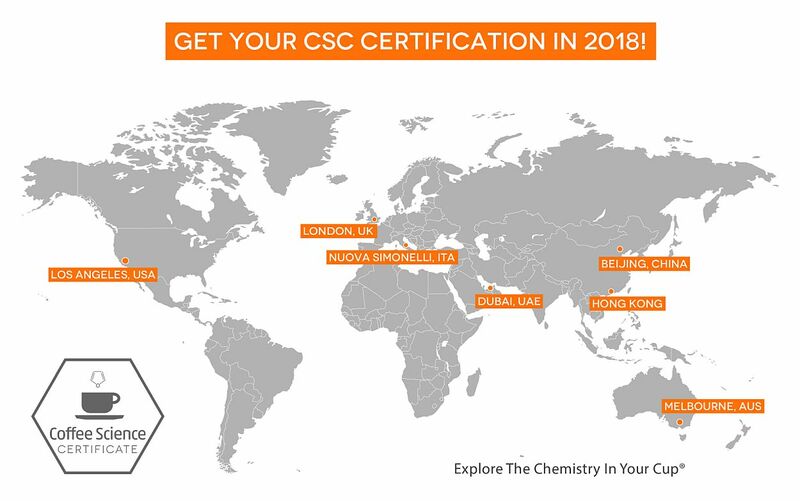 For 2018 we're pleased to announce the following cities where we will conduct our Coffee Science Certificate (CSC) seminars. If you've ever wanted to up your technical coffee skill, make 2018 the year to do it. For more information go to our seminars page and Pre-Register for an upcoming event. 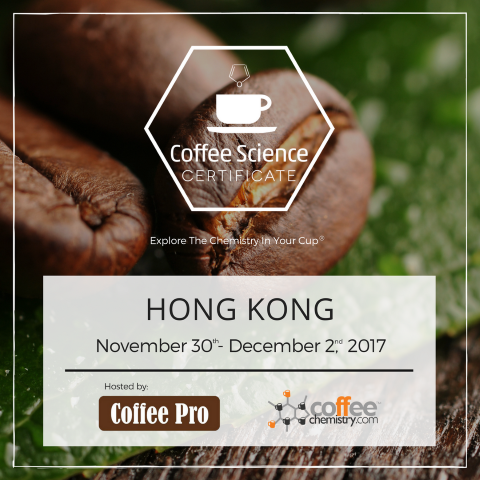 Coffee Science Certificate (CSC-1) seminar coming to Hong Kong. We're excited to be conducting our Coffee Science Certificate (CSC) course at our education partner CoffeePRO in Hong Kong. For more information read here. 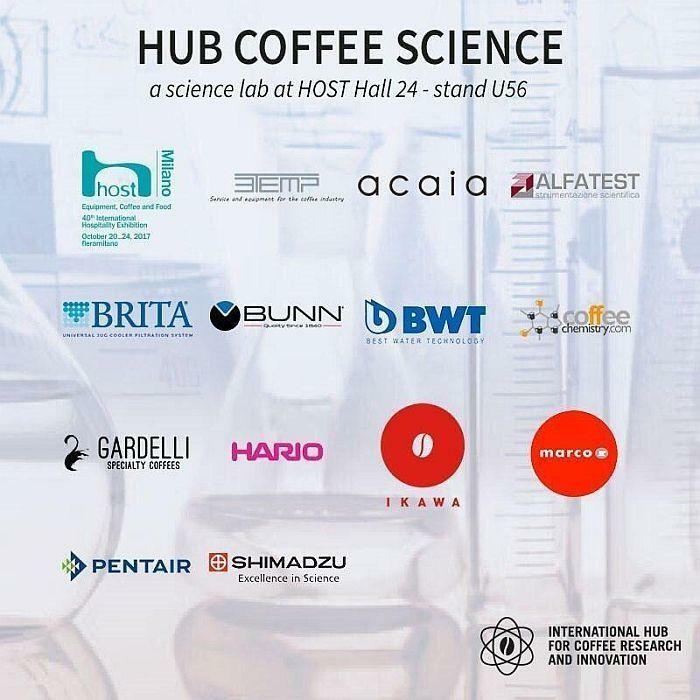 We're excited to be part of the Coffee Hub Research team. We'll be kicking off the launch of this collaborative organization next week during the Host Expo in Milan, Italy. Come by and say hello if you are attending. 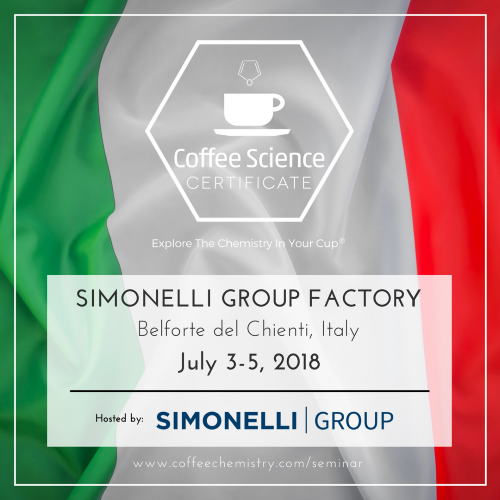 Coffee Science Certificate (CSC-1) coming to Italy! 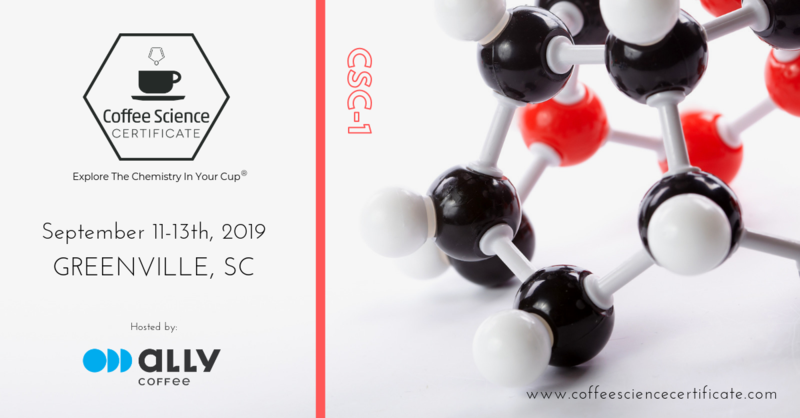 We're please to announce that we'll be conducting our first Coffee Science Certificate (CSC-1) seminar in Italy for this first time this year. Our special thanks goes out to Nuova Simonelli who extended the invitation and made this all possible. We look forward to bringing a wealth of knowledge to Italy soon. For more information see out seminars listing for 2017. We're happy to announce that we will be conducting our first Coffee Science Certificate (CSC-1) seminar in Dubai on Oct 12-13th, 2016 (updated date!). Online registration is now live, seats for this event are limited. If you are interested in attending, please Pre-Register as soon as you can. Early bird pricing will apply.